Lame duck commissioners vote to keep KBRA going, H&N 11/20/12. "The two elected to take Switzer's and Hukill's spots, Tom Mallams and Jim Bellet, both said they were against the extension of the KBRA. Mallams voiced his opinion in a letter and Bellet spoke at the meeting....(commissioner) Linthicum tried to delay the decision until those new commissioners take office after the new year. He made a formal motion to table it, but faced silent stares from Hukill and Switzer." Impacts on the Klamath River Basin caused by removing four dams, a Public Impact Assessment (PIA), by Thomas M. Bonnicksen, Ph.D. Professor Emeritus, President Bonnicksen & Associates, Staff Scientist 11/19/12. "...the report gives the affected public a chance to participate in an assessment of the potential impacts on their environment and community caused by a government decision. It uses local knowledge and experience, as well as the knowledge and experience of people familiar with the river, to make an impartial impact assessment." Deadline Approaches For Klamath Restoration Deal, OPB 11/19/12. Klamath restoration agreement deadline looms; opponents call for end to settlement, The Times Standard, posted to KBC 11/19/12. "(Karuk tribal spokesman and former Green Corp member Craig" Tucker said the Karuk Tribe sees the KBRA as an expansion of tribal rights. 'With the KBRA in place, the Karuk Tribe would have a larger role in flow control, restoration of the basin and the jobs associated with those efforts,' Tucker said." Only six sign approval so far in KBRA extension, Dissolution is imminent unless signatories sign on, H&N 11/16/12. "This issue will be introduced for public comment and voted on by the Klamath County Board of Commissioners at 9 a.m. on Tuesday at 305 Main St., Room 219... At Wednesday’s meeting in Eureka, the Klamath Water and Power Association presented significant progress on a plan to reduce diversions in low-water years, Sheets said." Officials seek to extend KBRA, Stakeholders debate historic water agreement, H&N 11/15/12. PacifiCorp (Klamath Dam removal) surcharge increase approved, The Daily Independent, posted to KBC 11/2/12. "In a non-binding 2010 local ballot measure, 79 percent of Siskiyou County voters opposed the removal of the dams." President John F. Kennedy and California Water Projects, dams, 1962. YouTube, 8.5 minutes. Fight to Save Klamath River Dams, local jobs, Oregon Small Business Association, posted to KBC 5/2/12. OSBA, promoting and defending Oregon's Business Owners and Employees. "The Oregon Small Business Association strongly opposes the Klamath Basin Restoration Agreement (KBRA) because it calls for the removal of the Klamath Basin Dams. These dams are vital to the economy of the Klamath Basin." Commissioner hopefuls discuss public safety, water , H&N, posted to KBC 10/16/12. Tom Mallams: "The KBRA began as a good effort to solve the Klamath Basin’s water problems. Unfortunately, the process was taken over by our own federal agencies, dam removal thrown into the agreement and now does not deliver any guarantee of water for agriculture, no protection from biological opinions and also no protections from the ESA and no affordable power for agriculture...The TMDLs are another example of our own government’s out-of-control, unattainable mandates being forced on the citizens. The TMDLs are absolutely unattainable even if the city spends millions of tax dollars and irrigated agriculture was completely eliminated." HERE for KBRA Page Representatives discuss dam development, protection, House Committee to discuss dams today, H&N 8/16/12 by Tri-City Herald. " 'The bill introduced by Hastings, called the Saving Our Dams and New Hydropower Development and Jobs Act, would “help eliminate government roadblocks and frivolous litigation that stifle development,' he said. It would prohibit federal dollars from being used to remove or breach hydropower dams or to study those actions without specific authorization by Congress." Liz Writes Life; "I am Felice Pace’s #1," Liz Bowen in Siskiyou Daily News, posted to KBC 8/16/12. "I was video-recording Felice when Carolyn was asking questions. He said he didn’t like being filmed and then gave me the #1 hand-signal – you know — the bird. I believe Felice was holding a meeting as part of the criteria for obtaining a grant, which is how he is continuing to make his living. According to the Klamath Forest Alliance information on-line, Felice’s total revenue in 2008 was $166,050." 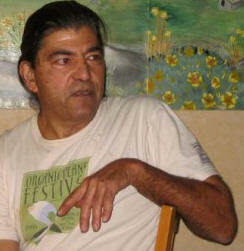 KBC NOTE: Greencorp-trained Craig Tucker is Karuk Tribe spokesman. He was on the steering committee of Klamath Riverkeeper before it spun off from umbrella group Klamath Forest Alliance, and he’s presently on the Riverkeeper board. He is also part of the KBRA/Klamath Basin Restoration Agreement negotiations demanding Klamath dam removal. "...* Prohibits federal funding from being used to remove, breach or study the removal or breaching of any hydropower dam unless explicitly authorized by Congress. * Prohibits federal funding to organizations that have engaged in dam removal or hydropower-decreasing litigation against the federal government..."
Let the River Run: Strategies to Remove Obsolete Dams and Defeat Resulting Fifth Amendment Taking Claims, by Christopher Scoones, Seattle Journal of Environmental Law, 2012. KBC EDITOR: the message is how to deny claims of communities and resource users when they destroy dams, and use the ESA to force dam removal. "The Endangered Species Act (ESA) can be an effective tool for the removal of public and private hydropower and nonhydropower dams..."
Dueling briefs in PUC process, Siskiyou Daily News, posted to KBC 8/6/12. Radical environmentalists push to destroy (Klamath) dams to reopen salmon spawning habitat, Human Events by Audry Hudson, posted to KBC 8/5/12. " 'This is not about saving the salmon. This is about this bizarre new religion of the left, which reasons that mother Earth is suffering a terrible infestation of human beings and must be restored to its pristine, pre-historic condition. The only practical problem with that is it requires restoring the human population to its pristine, pre-historic condition. And that is not going to end well,' (Congressman) McClintock said." * Investigation into methods to control algae in the Klamath River Basin, Klamath River Compact Commission, June 1962. * Recreational exposure to microcystins during algal blooms in two California lakes, July 6, 2009. * Toxicological summary and suggested action levels to reduce potential adverse health effects of six cyanotoxins, May 2012. Tea Party Blocks Pact to Restore a West Coast River, NY Times, posted to KBC 7/21/12. Included is response by KBC Editor. PUC considers surcharge increase, Siskiyou Daily News, posted 6/22/12. "Under the dam removal agreement, PacifiCorp’s customers will cover the first $200 million of dam removal costs. Any costs over $200 million would be covered by the state of California, up to an additional $250 million." How Obama Banks on Warren Buffett—for Campaign Cash, Mother Jones, posted to KBC 6/12/12. HERE for Buffett Page. Buffett owns the Klamath hydroelectric dams, and intends for them to be destroyed at ratepayer's and taxpayer's expense. House Votes to Prohibit Federal Government from Mailing Out Cash for Surveys, U.S House of Representatives, Natural Resources Committee, Chairman Doc Hastings 6/6/12. "In 2011, the Department of the Interior (DOI) distributed a nationwide survey with the questionable purpose of measuring the societal, non-economic value of removing four privately owned dams on the Klamath River in Oregon and California...an estimated 10,400 households were contacted about the survey...the survey in question cost over $850,000." Hoopa Tribe petitions feds to speed up dam removal, H&N 5/31/12. Klamath dam survey inspires bill amendment, Siskiyou Daily News 6/12/12. 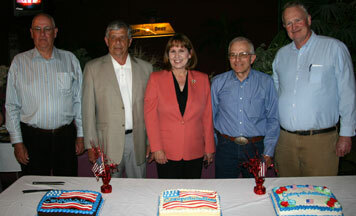 Mallams: Election win sends message, Republican nominee is opponent of KBRA, H&N 5/17/12. "The Republican who ousted longtime Klamath County commissioner Al Switzer said his win in Tuesday’s primary election sends a clear message: Voters do not agree with the Klamath Basin Restoration Agreement. Tom Mallams, a Beatty-area rancher and outspoken opponent of the KBRA, bested Switzer in Tuesday’s primary election, taking 43 percent of the vote in a four-way race...."
< James Bellet, Doug and Gail Whitsett, Tom Mallams, and Dennis Jefcoat. 5/16/12, updated 12:59 a.m. 100% of the votes are in. - Oregon Election Night Results, THE PEOPLE HAVE SPOKEN against the KBRA and dam removal! Congratulations! Opponents of the KBRA / Klamath Basin Restoration Agreement (which includes Klamath dam removal) won the votes of the people, in spite of the smear ads and big bucks paid to destroy them. Tom Mallams beats Al Switzer, H&N 5/16/12. Jim Bellet bests Cheryl Hukill, H&N 5/16/12. Columns on top federal scientist whistleblower's, Dr. Paul Houser's, meeting with the Board of Supervisors, by Siskiyou County Supervisor Marcia Armstrong, District 5. Column 5/15/12. "He said that he believed that removing the dams was at best – risky, and at worst – tragic." Column 5/22/12 "It was decision-makers higher up that were trying to change the science to match their political agenda. Houser also expressed some concern about the peer reviewers selected to review the science. In one case, a dam removal engineer was selected as a reviewer – bringing a possible predetermined bias and conflict of interest." * Fish or Foul on the Klamath River? Commentary by Frank Galusha 4/25/12. VIDEO is produced by American's For Prospertity. "Salmon never made it that far," "More water reaches the Klamath today," "Then why was so little water available on Lower Klamath?" "Dams provide some flood control and critical flow control ." KBRA provides real protection for irrigators, H&N Letter to the Editor 4/17/12 by Greg Addington (director of KWUA / Klamath Water Users Association). "the KBRA states that the County would receive $500,000 “to undertake a study and projects for economic development associated with the restoration of the Klamath River ... and ...how the agreement (and parties) will support and secure up to $3.2 million (as described in the KBRA Budget) for any lost property taxes." KBC EDITOR: The following may explain why tax $ will need to compensate for lost property taxes, pages 5-6 in KBRA settlement summary: "conservation easements, forbearance agreements, conjunctive use programs, efficiency measures, land acquisitions, water acquisitions, groundwater development, groundwater substitution, other voluntary transactions, water storage, and any other applicable measures." Diana Rose Colgrove: Board member of the River keepers also represents a group called the Klamath Justice Coalition. Klamath Justice Coalition: This is also a front for the Karuk Tribe. Water issues dominate Merkley town hall, Senator speaks at high school Tuesday in Merrill, H&N 4/5/12. "Merkley introduced legislation to move aspects of the KBRA forward, including removing dams. This year, Merkley is pursuing hearings on the legislation, but has said in the meantime he plans to push portions of the agreement that don’t require legislation, such as finding funding in the federal budget." “You’re on the wrong side of the KBRA,” said Bill Adams, Klamath Falls City Council member. “It does not guarantee water. It does nothing to stop (the Endangered Species Act) from interrupting natural resource-based businesses.” Mike King, a Klamath Falls farmer, said the majority of farmers were against the KBRA. He referenced a public hearing where he said 70 percent of the testimony was against the agreement. 'This is a no-win situation for everybody,' he said"
A full lake is good for fish and farmers; Coordination by federal agencies helps to keep water level up, H&N 3/29/12. "Reclamation officials worked with PacifiCorp, which operates Link River Dam, and the Marine Fisheries Service almost daily to ensure no more water than necessary was sent downstream, Phillips said. Due to reduced outflows, Upper Klamath Lake has about 170,000 acre feet of water more than at the same time in 2010, he said." KBC editor: KBRA signatories Klamath Water Users Association, PacifiCorp, and federal agencies claim they needed the billion dollar+ KBRA to make friends so they would not dump too much water down the Klamath River (which devastated many irrigators in 2010). AUDIO 9/28/11 - Klamath Basin "Power for Water Agreement" Holly Cannon, KWAPA / Klamath Water and Power Agency (power part of the KBRA / Klamath Basin Restoration Agreement), Executive Director, held meeting in Tulelake to urge irrigators to sign onto the "low-cost power for water" agreement..."...that's what the KBRA is about, is bringing "low-cost power..."
Cannon: "What you're giving up is water to get affordable power." Q "What is the acre feet that we're giving away for this cheaper power rate?" A Cannon: "I'd say 20-25%, but it varies year to year.....What you're giving up is water to get affordable power...KWAPA is doing an On-Project plan that is designing how you're going to give up water..."
Q "What happens if we find out with the program it looks good, then all of a sudden it could be higher than the tariff rate? You can't guarantee what that rate's going to be." Cannon, "We can't guarantee it." Q "It might not be that golden egg ...and the landlord says, 'no I don't want this,' and then he's stuck with it... and then it could be a liability problem too." Q "and then he comes back on whoever signs the contract." KBC NOTE: Former top Bureau of Reclamation scientist Dr. Paul Houser believes differently..HERE. "The summary states that dam removal will likely reduce salmon disease, but does not properly state its uncertainty. Whereas the June 12, 2011 Klamath River Expert Panel Final Report: Scientific Assessment of Two Dam Removal Alternatives on Chinook Salmon report states “Although several aspects of the Proposed Action could lead to a reduction in disease-related mortality, uncertainty about these aspects is very high”. * DOI Secretary Ken Salazar’s decision on the KBRA and Klamath dam destruction delayed by the legal coordination process, 2/27/12, PienPolitics Press Release. "This definitely puts a crack in the armor of the KBRA, Klamath Basin Restoration Agreement, which decrees the four well-maintained, functioning hydro-electric dams are destroyed." KBRA/Klamath Dam Removal: The science: Scientists say they have no agenda, H&N, posted to KBC 2/24/12. Included by KBC are reports by scientists David Vogel, Dr Ken Rykbost, Dr. John Menke, and also Klamath Water Users Association, exposing the unethical unscientific agenda-driven "scientists"
We must use coordination powers, Siskiyou Daily News, Letter to the Editor, February 24. 2012 by Brandon Criss, candidate, Siskiyou County Supervisor District 1. "The Tulelake Basin stood up against that blackmail attempt and voted 77 percent against dam removal...The Siskiyou County government has no choice but to fight intelligently and effectively for the Tulelake Basin. We have to do this in order to keep that unity in Siskiyou County." Interior Issues Draft Overview Report on Klamath Dam Removal Studies, Department of Interior 1/24/12. You are allowed until Feb 5th, 12 days to comment on this 312 page document with dozens of attached studies. * Comments to Overview Report on Klamath Dam removal studies from Siskiyou County to Secretary Salazar 1/31/12. Report: Klamath dam removal will help fish, farms, Sacramento Bee 1/24/12, followed by comments. Merkley visits Basin; talks funding, policy, H&N, posted to KBC 1/22/12. “There are people locally saying scrap the (Klamath Basin Restoration Agreement), we don’t need it,” said Dan Keppen, executive director of Family Farm Alliance. “Get rid of federal laws like the ESA and all our problems will go away.” KBC NOTE: Family Farm Alliance Executive Director Dan Keppen, formerly worked for the Bureau of Reclamation then was Klamath Water Users Association/KWUA Executive Director. He is currently employed as an engineer and "communication consultant" to support the On Project Plan, part of the KBRA, as well as Family Farm Alliance director. Contrary to Keppen's characterization of Klamath irrigators, we do not advocate throwing out federal laws and endangering species, but have long advocated amending those laws that do not work, using unbiased science. The KBRA significantly downsizes agriculture, destroys 4 hydroelectric dams, gives land to the tribes, and plants endangered fish in our warm shallow lakes.